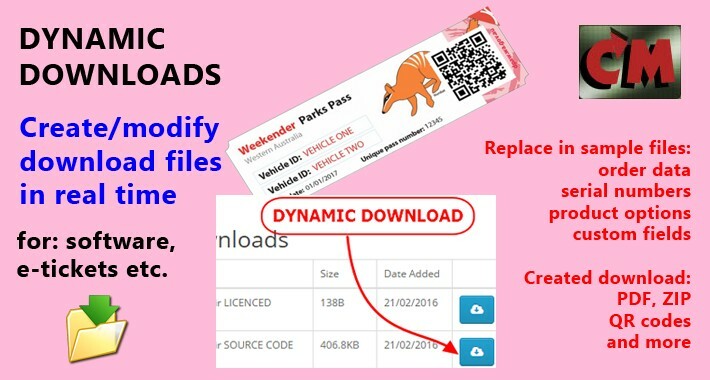 This magic extension makes your downloadable files alive. 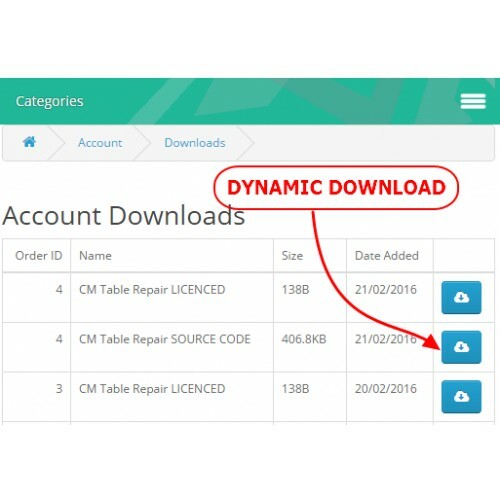 The downloaded file, for example ZIP or PDF file, is created in real time with desired content. 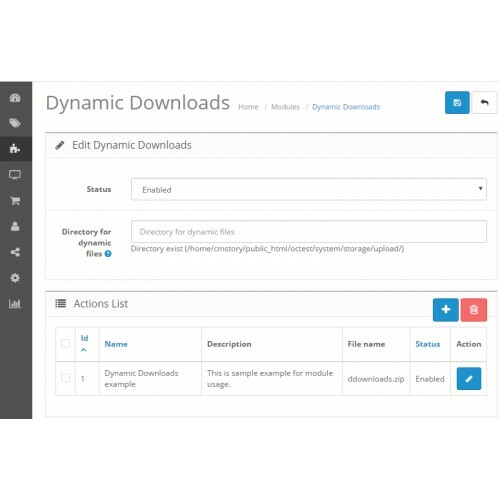 At the time the client clicks on "download" button in frontend of the site, this module makes possible to perform actions, search in the source files and replace with live data from the client order. 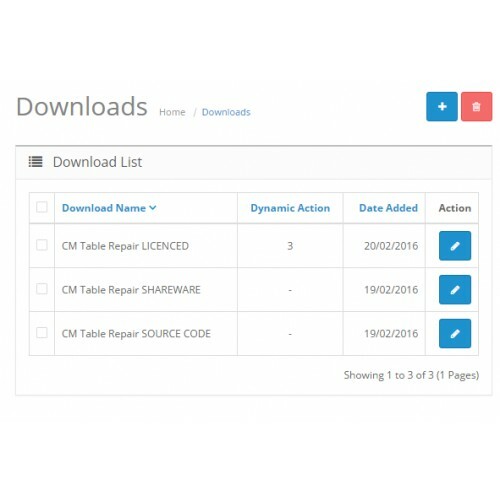 This allows to personalise the downloaded files, for example with client name, address, country, product data, product options, custom fields, serial numbers and many more. Also it is possible to create new files. 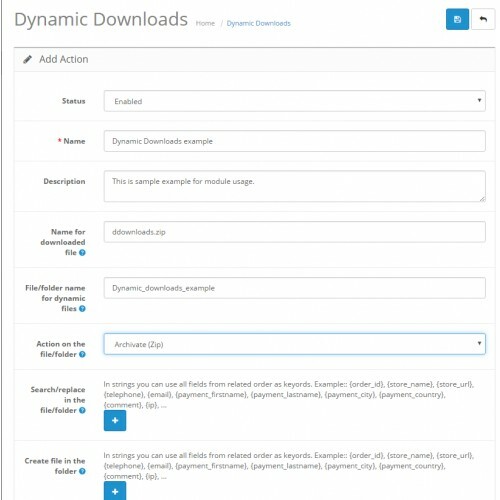 After applying the rules, it is possible to archive the content and to be created zip file – the real download, exposed to the user. 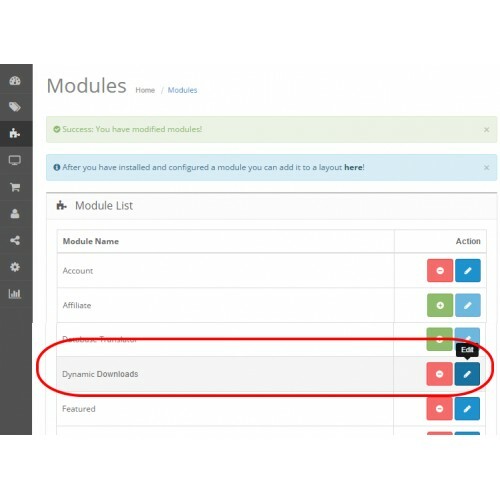 Now except zip, module is capable to create PDF files! 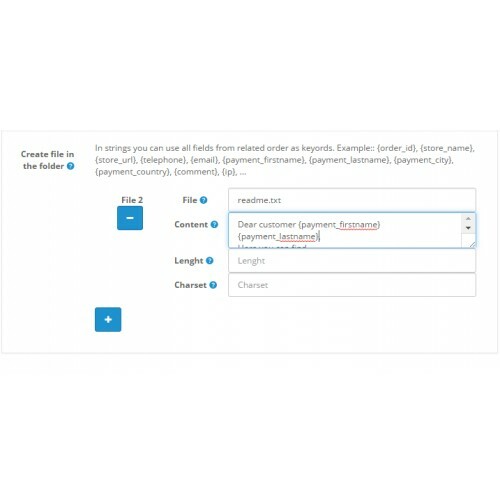 The rules for creation and modifications are entered and adjusted in the admin interface of the module. where describe in details the question. Contact us if you like to use this extension with other Opencart version. 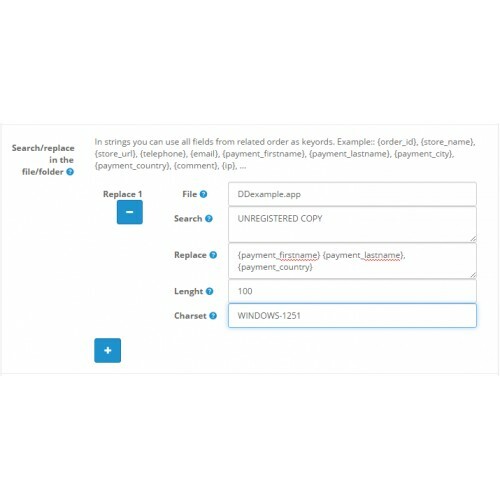 All our extensions are tested and function in many live shops. We upgrade them to every new Opencart version!